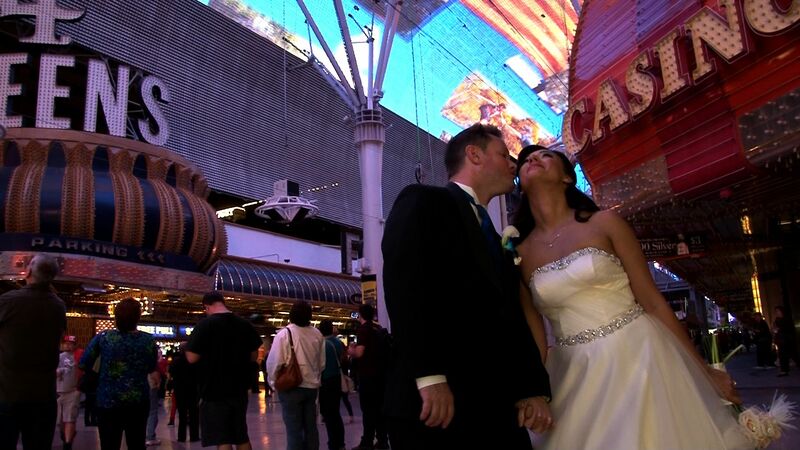 What advice can we give to the many destination brides booking a Las Vegas wedding? Plenty. 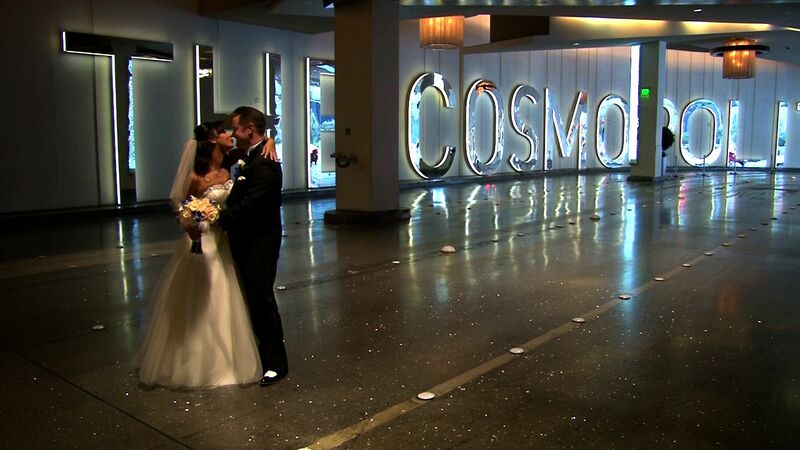 Here are just a few suggestions for those brides planning a “Vegas” wedding. Double Decker Bus: Fun, excitement, and frivolity. Well, in reality, it’s a tour bus that inches itself along the strip….especially on the weekends. Most of your two hour tour is spent idling at stop lights. Our advice? If you are going to book a DDB, do it at night. 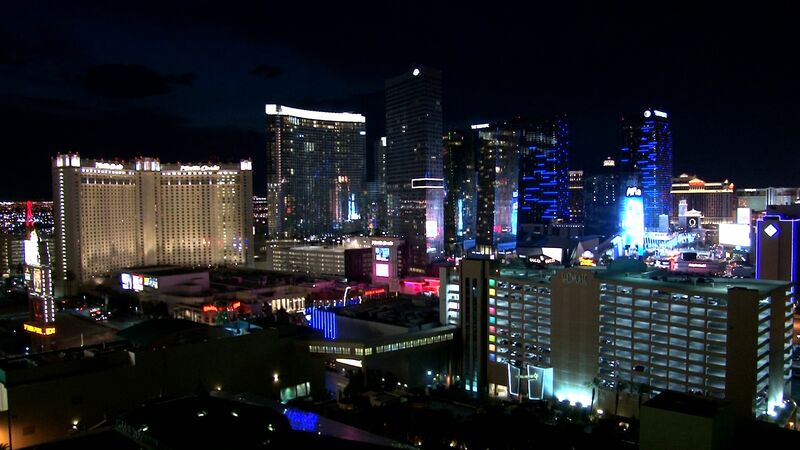 Like most big cities, Las Vegas can be a little bland during the day, but at night, that’s when the Las Vegas Strip really shines. Book some entertainment on the bus. It may cost a bit more, but having someone like an Elvis performer along for the ride will enhance the experience two-fold. Should we book a photographer/videographer along for the ride? Not really. The DDB doesn’t allow standing in the bus, so any photos or video will be of your guests sitting down oooooing and aaaaiiiinnng at the sights. Your photographer and videographer aren’t allowed to stand either….which can make for ordinary photos and not very exciting video footage. Our advice? 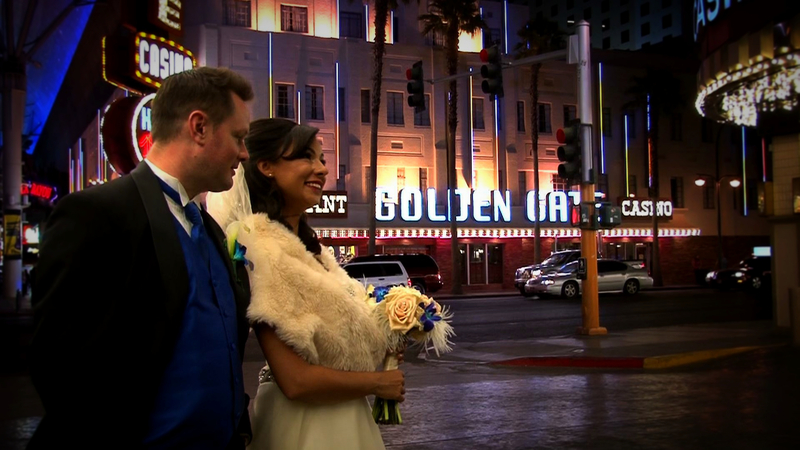 Send your guests on the DDB bus for the tour, while you…the couple….take a limo(along with a photographer/videographer) down to Fremont Street. Lots of photo opportunities, and the makings of a fun video. In Suite Reception: If you have a small group with you, this is an excellent alternative to a large reception room. Just beware. These rooms may look large in the photos on the hotel website, but actually, they aren’t as big as you may think. We recently did one in a 1500 sq. ft suite. Sounds big. Subtract the bedroom, the bathrooms, the entry hall, staircase(there was one in this room), the tables, furniture, etc…, and the room isn’t quite as large as you may think. If you can, get one with a patio, that adds more room for your guests to roam around. Our suggestion…don’t plan a suite reception if you have more than approximately 40 guests. Outside Vendors: Getting married in a Hotel Chapel? Most will not allow outside vendors, which means you are at the mercy of their hired hand photographers…sorry, a lot of the photos we’ve seen from these photographers are basically snapshots. That’s because you are just another wedding to them. They are not personally invested in you like an outside photographer you can hire would be. Same goes for video. Most chapels have 3 cameras highly mounted on their walls looking down on your ceremony. Not a pleasing angle, and makes for a dull video. Like with the photographer, there is no personal investment there (or creativity). Look for a hotel that will allow you to bring in outside vendors (Officiant, flowers, photographer,videographer), this is your wedding, try to keep it as personal as possible. There is an extra cost in this, but in our opinion, well worth it. Locations we know of that lets in outside vendors (at a cost) are The Flamingo, Caesars, and The Platinum Hotel. There are probably more…just check with each hotel. Best Practice: Las Vegas is a very busy place. Your wedding day can be stressful enough. Relieve some of that stress, on you and your guests, by planning your wedding day all in one location if you can. Your hotel rooms, your ceremony venue, and your reception…all in one location. No need for shuttling you and your guests around town…especially with our traffic….which will also save you time and money. Want to take pictures at the sign with your guests? Hire a party bus to and from your hotel. Want to do a photo tour with your wedding party? Plan your photo tour between your ceremony and reception. 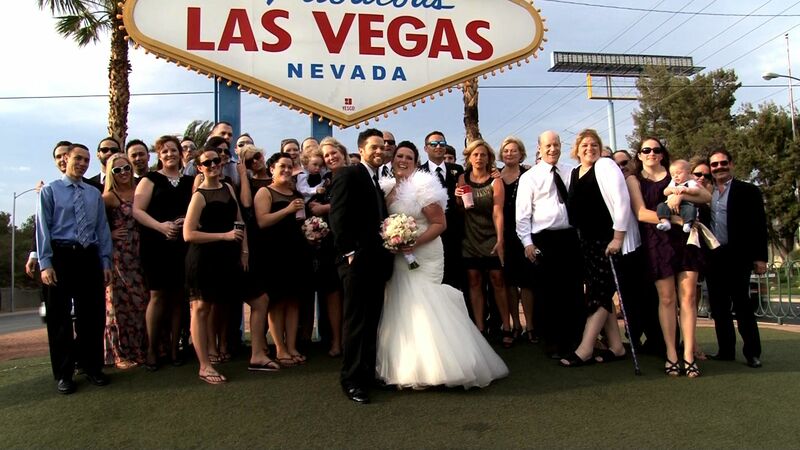 While you are on your tour, your guests can partake in the Vegas activities, or go to their rooms to get ready for your reception. Photo Tours usually last around 2 hours. Best time for that Double Decker Bus ride? Plan it after your reception. 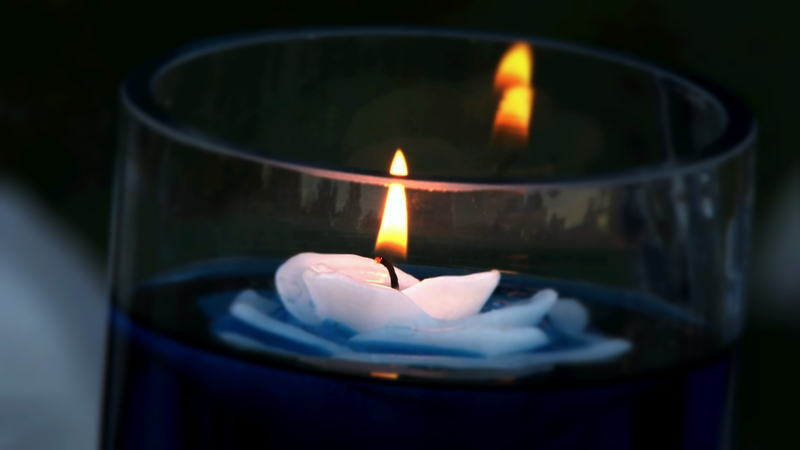 It’ll be nighttime, your guests will be somewhat “loosened” up, and it would be a fun way to end the night. If you have other suggestions, or would like to ask us about anymore ideas, contact us anytime at kelly@langdonvideo.com, or reply to this blog. We’d like to take this time to wish everyone the best for 2014. 2013 was a great year for us. We’d like to thank all the couples we had the privilege of working with this year. Besides being able to meet people from all over the world, we also had a wide variety of weddings this year. 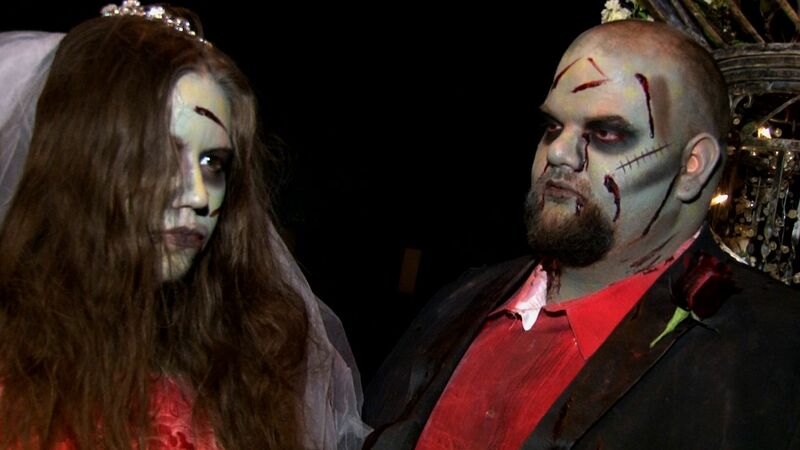 These included Catholic weddings, a zombie wedding, a Chinese wedding, a Scottish wedding (complete with bagpipes and kilts), Elvis weddings, a Denny’s wedding, a Harley Davidson wedding, backyard weddings, a wedding with 200 guests, and weddings with no guests. They came from Australia, Canada, France, Scotland, Germany, and from all over the United States. We love our job, and feel grateful to be invited to so many wonderful weddings, and to meet such a wonderful diversity of people. We’d also like to thank all the local vendors we worked along side with this year, who all worked hard to make each and every wedding a successful one for the brides and grooms and their families and friends. We can’t wait for 2014, and who we’ll get to meet. Getting married with few to no guests? Just the two of you, with no wedding party? Planning a small ceremony, maybe a little champagne and cake? Doing a photo tour of Fremont Street and the Las Vegas Strip afterwards? 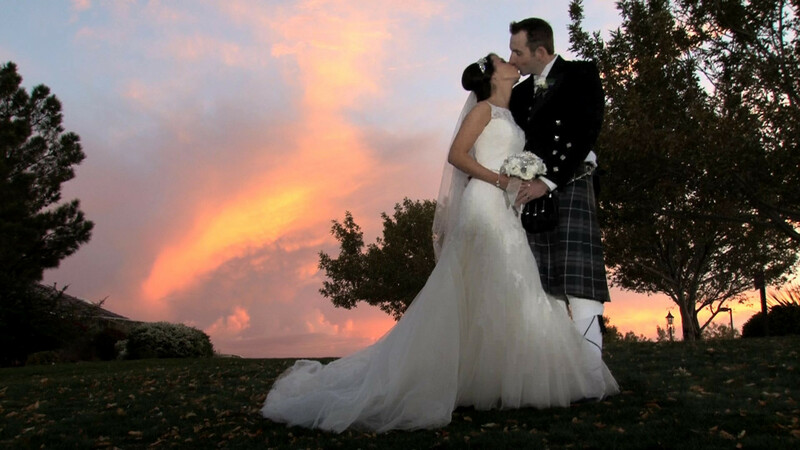 Don’t think you really need a videographer to capture your wedding day? Photographer is all you really need or want? Because they came here by themselves to get married, Sara and Jeff hired both a photographer and videographer to follow them around on their wedding day to capture their special day as it happened. They wanted a video keepsake for themselves, and to share with their family and friends back home. We were privileged to be able to spend the day with them, join them in cake and champagne, and have a great time with this really fun and lovable couple. Just because you’re having a small wedding doesn’t mean you don’t need a video. Whether you have no guests, or 100, this will always be a day you will want to share and cherish with your family and friends. Let us create a keepsake of your Wedding Day…large or small…whatever your budget. Contact us today, and let us make memories with you. All photos above are actual video still captures. 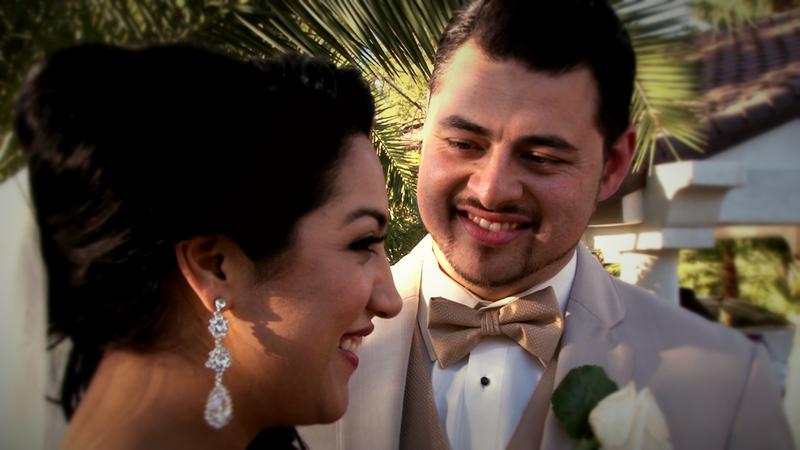 Just sharing some photos taken from video grabs of some recent wedding videos. Playing around and ran them through some photo software. We offer a photo disc with approximately 10 photos pulled from the video in our Complete Package. Not competing with the photographer, but these can make nice photos to share on Facebook or Pinterest. 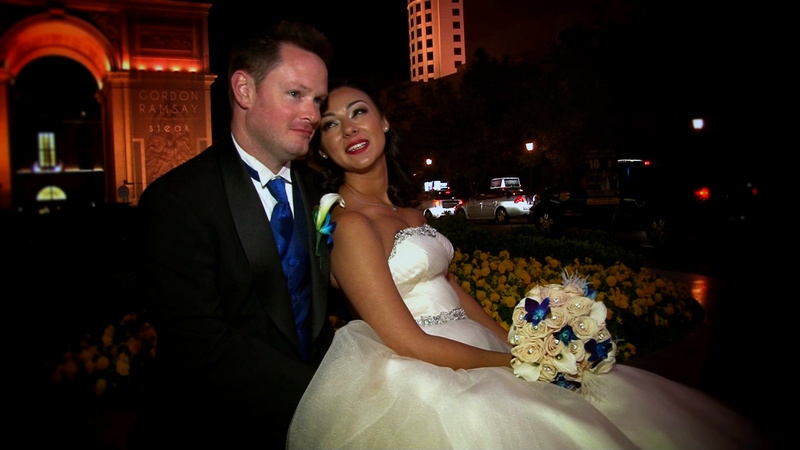 Coming to Las Vegas for your wedding? Thinking about a photo tour? A walking photo tour? This is Las Vegas….full of sights and sounds. 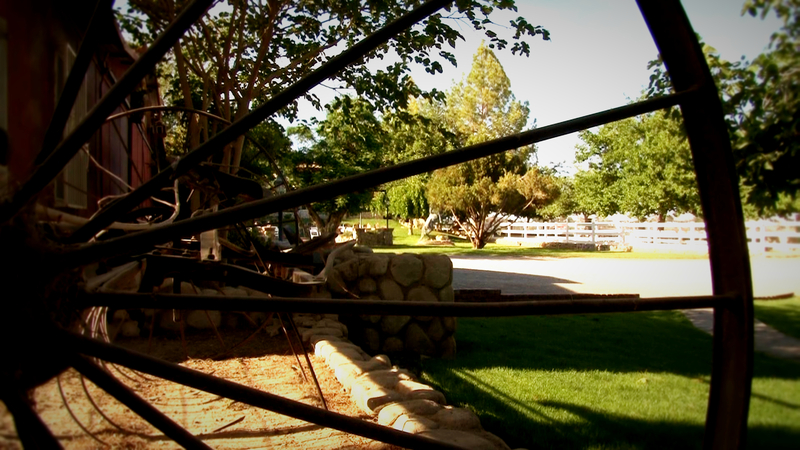 Add a video to your tour and get the best of both worlds….the total experience. The Bellagio Fountains, the sights, the sounds, the people, and the atmosphere that is Vegas. 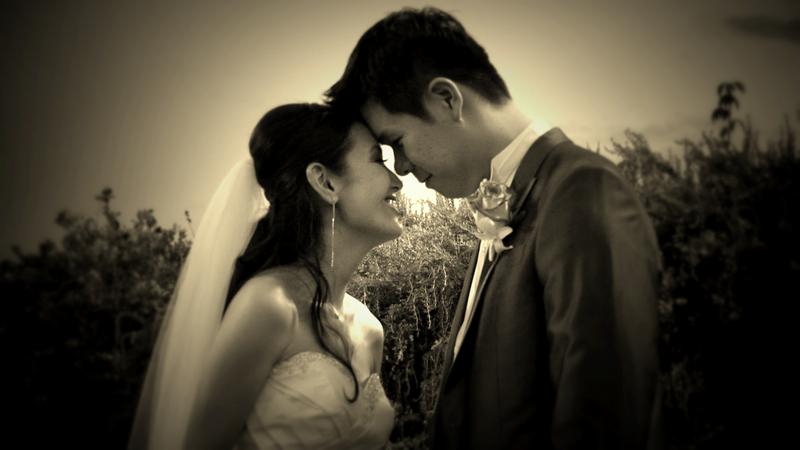 We are proud to offer you this Photo and Video Tour package in association with LV Wedding Connection. Contact Joni Moss at the link below for more information.